In 2014, the terrorist organization known as ISIS swept across Iraq and Syria conquering large swathes of territory in a matter of weeks. As a result, over 5 millions Iraqis were displaced from their homes in one of the worst humanitarian crisis since WWII. Almost 1.5 millions of them sought refuge in the relatively safer Kurdistan Region of Iraq, adding to the hundreds of thousands of Syrian refugees that escaped civil war in their own country since it erupted in 2011. 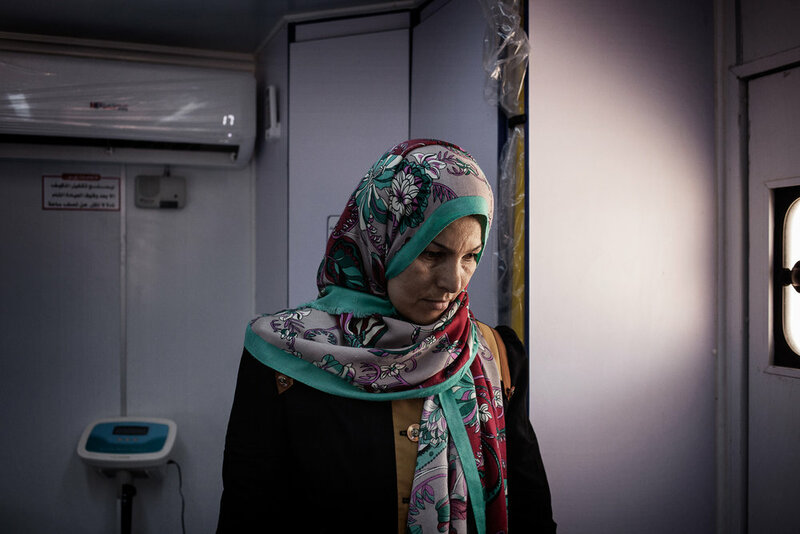 The Italian NGO EMERGENCY has been operating in Northern Iraq building hospitals and health facilities for refugees and displaced people, while at the same time training and employing local doctors and nurses. This series of photos has been commissioned by EMERGENCY in 2015 and shot in hospitals set up in IDP and refugee camps in Sulaymaniyah and Erbil Governorates in the Kurdistan Region of Iraq.